There's an end-of-the-line feel about Norddal. The tiny village, nestled in a picturesque valley, is at the very end of a winding, fjordside road – one way in, one way out. Arriving here feels like a personal discovery, well off the tourist track. With the honeypot of UNESCO World Heritage Site Geirangerfjord just a short drive away, it's hard to believe that such an idyllic, tranquil little place exists – and yet here it is. 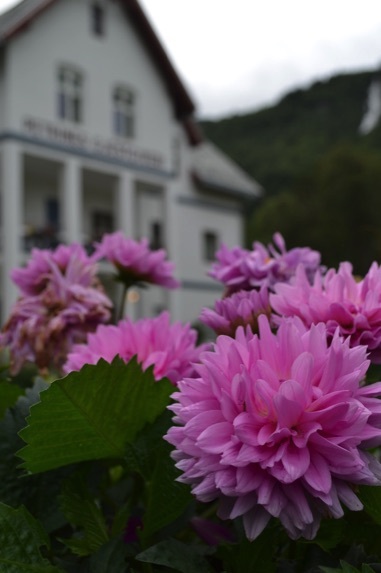 The village houses, with their abundant gardens full of fruit and flowers, cluster alongside a tumbling river and hug the shore of serene Norddalsfjorden – a branch of the vast fjord, Storfjorden, which stretches some 110km from Hareid in the west to Geiranger and Tafjord in the east. 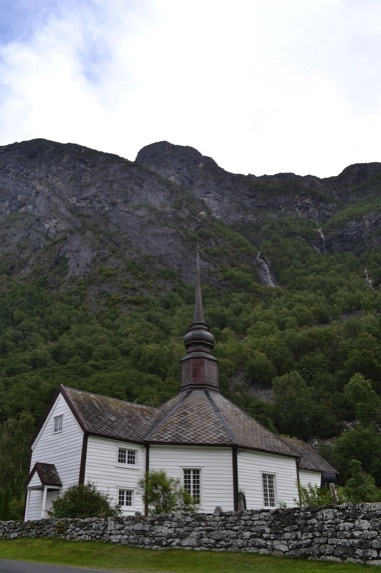 Near the centre of Norddal is a pretty church – a white, octagonal building dating from 1782. 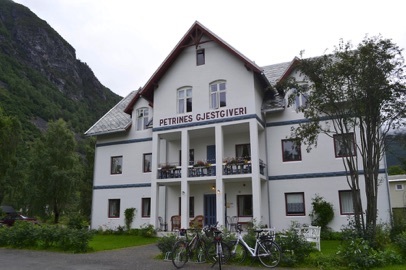 It's in this diminutive village that you'll find a hotel with a difference: Petrines Gjestgiveri. A large, white Victorian house – with 10 double en-suite rooms and five spacious annex apartments – it's an ideal place to base yourself when visiting the region and taking advantage of the many sights and activities that the area has to offer. The apartments – which sleep four and are perfect for families – feature a kitchenette, riverside balcony, separate double bedroom and living room with large, comfortable sofa bed. Petrines has been awarded eco-lighthouse certification, and respect for the environment – with a focus on sustainable tourism – is a key feature of its ethos. The hotel is also managed in an unusual way that actively involves much of the community. When the building – formerly a retirement home – was put up for sale in 1992, the town clubbed together, forming a cooperative to buy the house and renovate it. Of the 120 people living in Norddal, 30 are shareholders, others are employed here, and local farmers provide produce for the kitchen. The hotel is renowned for its superb quality food, which is served in the cosy, welcoming dining room on the first floor. Here there are French windows that open out onto a balcony adorned with colourful flowers, offering splendid views across to the fjord. The breakfast, lunch and dinner menus are based on fresh, local produce that is lovingly prepared and attractively presented. 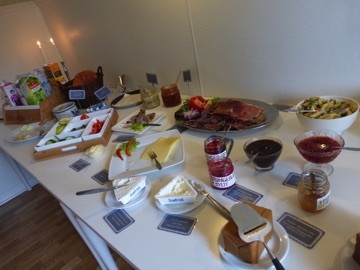 At breakfast, you'll notice that items from the buffet are labeled with the name and location of the producer: homemade goats' milk cheese from Dale Farm and cured meats from Ole Ringdal sit alongside jars of homemade herrings in mustard or tomato sauce. 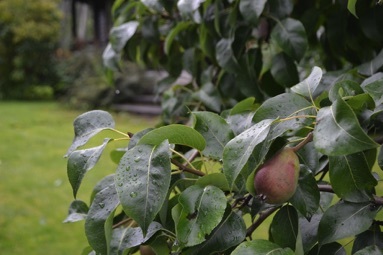 There's also locally-produced pear and apple jelly, strawberry jam or honey to slather on the homemade bread and scones that are freshly baked each morning in the hotel kitchen. It's all a wonderful celebration of provenance that is rarely found in the hospitality industry. 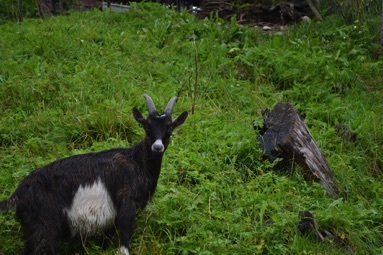 A stroll around Norddal allows you to see where some of your breakfast has come from. 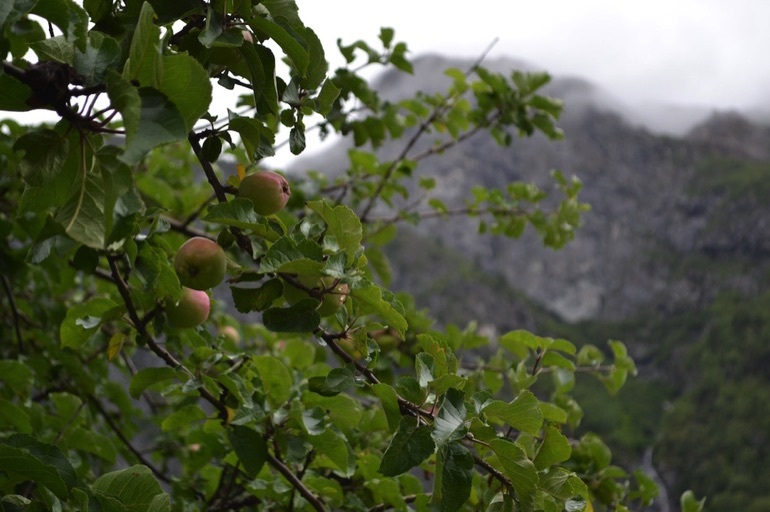 The villager's gardens are filled with fruit trees and goats roam around on the hillsides. 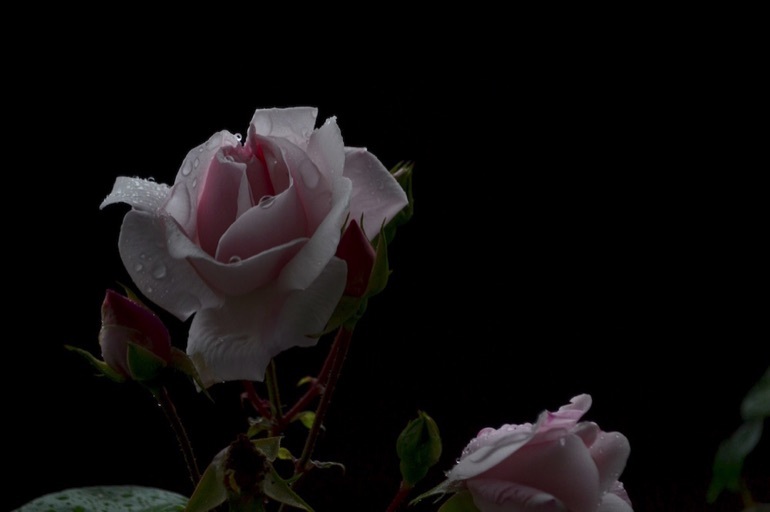 And there are flowers everywhere: rambling around the doorways of the red and white painted houses, spilling out of window boxes and peeking up through the grass. There are plenty of activities to keep you busy in the immediate vicinity. 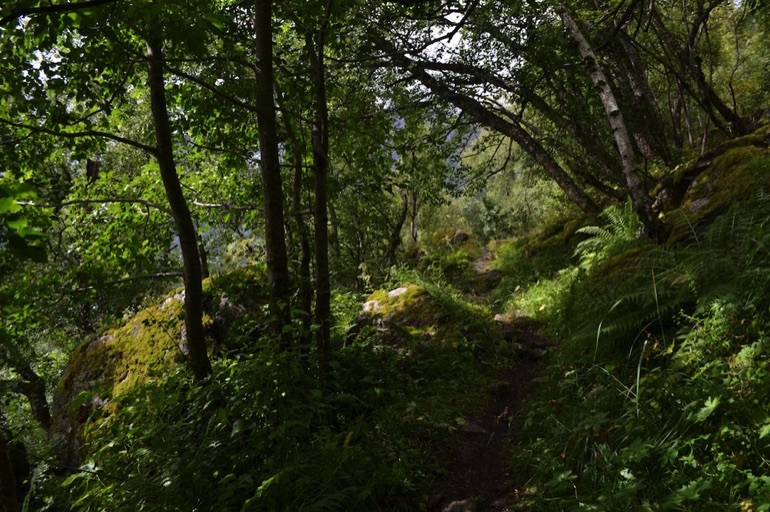 Hiking or cycling in the mountain landscapes, a visit to one of the mountain farms in the surrounding lush, green valleys or kayaking on the fjord are just a few of the adventures on offer. Or just sit quietly by the water to enjoy the peaceful atmosphere and fresh air. But despite the tranquility and secluded location, Norddal is by no means remote. With stunning Geirangerford easily accessible – it's just a 30-minute drive away – it would be a shame to be so close to this iconic site without taking a look to see what all the fuss is about. The drive alone is breathtaking. 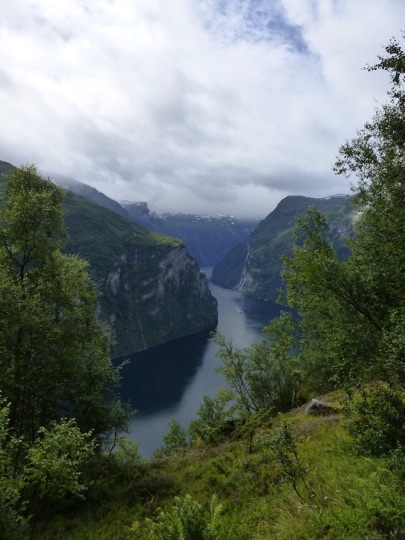 The final 7km stretch – known as the Eagle's Way – is a heart-stopping descent of hairpin bends, with each twist and turn presenting increasingly magnificent views of the fjord. 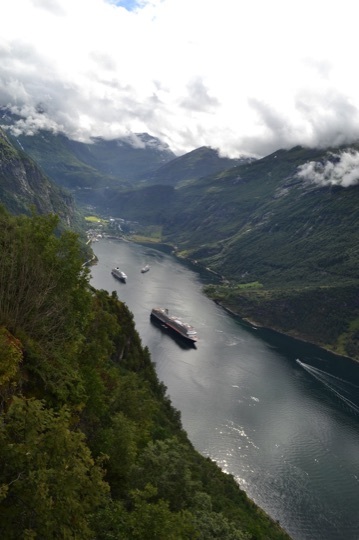 There can be no doubt that Geirangerfjord is spectacular. At 16km long and 250m deep, this is possibly Norway's most famous fjord – and the majestic scenery, scenic hikes and exhilarating boat trips draw tourists from all around the world to the bustling village of Geiranger. The challenge here is escaping the crowds – it's best to veer away from the overflowing souvenir shops and take to the water. Taking a boat trip is the easiest way to access some of the sights along the fjord, and one of the best trips is run by Geiranger Fjordservice. The 90-minute Fjordsightseeing tour runs several times a day in high season, providing an interesting commentary and a chance to see some of the fjord's famous waterfalls up close. These waterfalls include the Seven Sisters – actually seven separate falls plunging down the mountainside – and the Suitor. The latter, directly across from the Seven Sisters, is not particularly high – but as the water cascades downwards it divides into two, revealing a large expanse of rock that resembles a bottle. Legend has it that the Suitor was constantly proposing to the beautiful Seven Sisters on the other side of the fjord, but was always refused, and in his despair turned to drink. There are several mountain farms, perched high up on rocky ledges, and you'll find out all about these remarkable places and the people who lived there. If it gets too cold or windy out on the deck, there's a large, warm seating area inside the boat where you can enjoy the fabulous views in comfort. To see Geirangerfjord from a different perspective, head back up the hill in the direction of Norddal to the large viewing platform. From here you'll be treated to wonderful views across the fjord – but for a quieter experience take the steps that lead from the viewing platform up the hillside. This path leads through attractive woodland – and gets you away from the throng, with plenty of places along the way to sit and admire the glorious panorama in relative peace. Back at Norddal, crowds are not a problem – in fact, even in summer, you may find you have the shoreline or riverside paths to yourself. 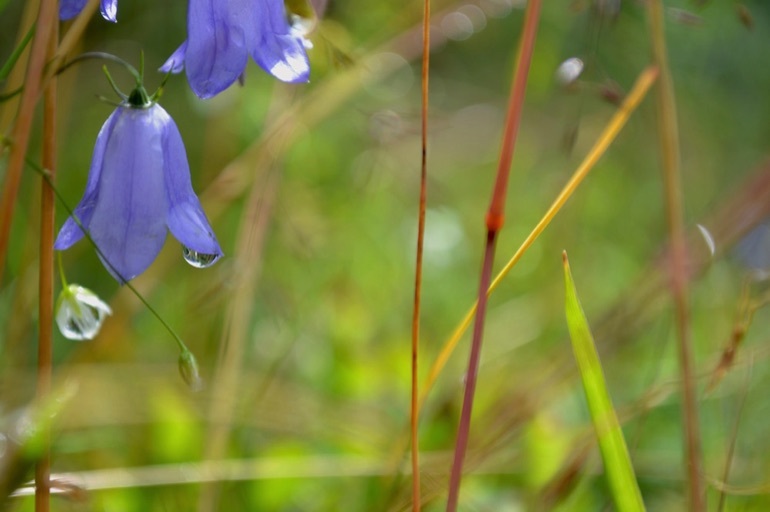 It's a striking contrast to the hustle and bustle of busy Geiranger – and a welcome, soothing respite for weary travelers wanting to get away from it all for a day or two.